The Stainless steel kitchen does not absorb dirt compared to the wooden kitchen set up. The stainless steel modular kitchens can be maintained easily given the right care, as it has smooth surface. This gives it a smooth, sleek and shiny appearances to the kitchen making it look more sophisticated. The stainless steel modular kitchens can be easily cleaned with a damp cloth. Since the Steel used is rust proof and stain resistant, The looks will be retained for a much longer period compared to the wooden modular kitchens. 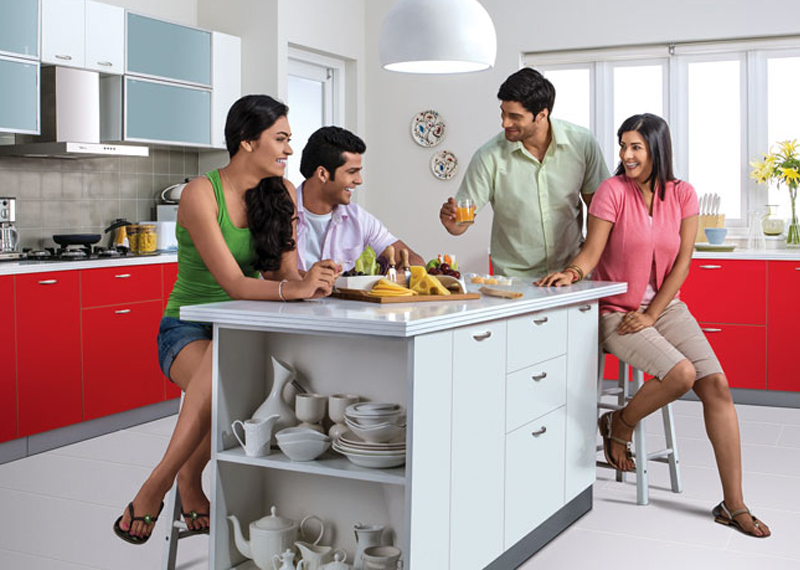 Since the colors in the Godrej stainless steel kitchens are painted with a 7-step fusion process, the color, shine and looks of the modular kitchen attains a classy look with a functional design. Termites and many other insects can be avoided since the kitchens are made of stainless steel. This drastically increases the longevity of the modular kitchens. One of the major issue with the wooden modular kitchen is that it gives out a bad odour when the surface or any part is wet. But the stainless steel modular kitchens are odourless and they don't affect the flavours of the food.